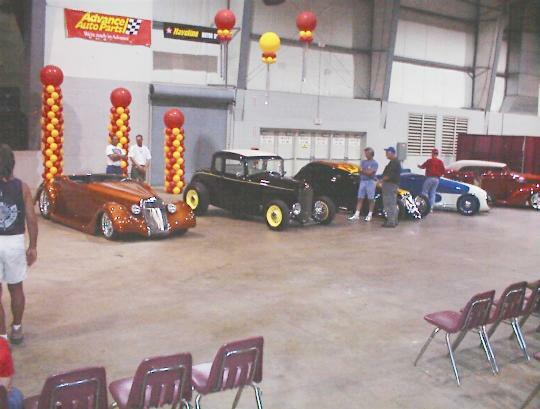 Here's a shot of the Top 5 (Street Rods) from Columbus. These cars were picked from the cars located in the Pro's Pick area on Saturday. There are also 5 street machines on the left up for the Street Machine of the Year. Congrats to Troy Trepanier on winning that one! 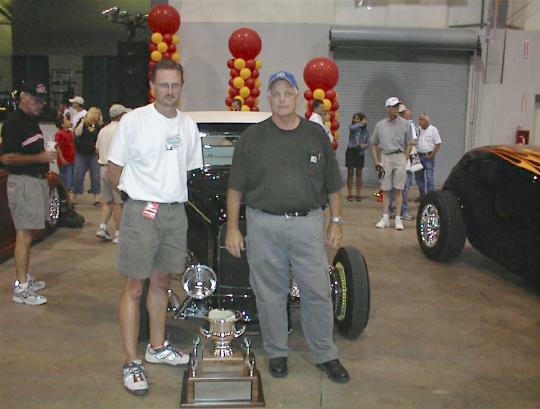 There were alot of nice cars in the Pro's pick area and we were excited at this point just to be in the Top 5! George and I with the trophy! If you look closely in the cup you'll see the $1000! This is one for the traditional guys!! !